Singapore is a small country in South East Asia. This country located near Indonesia and Malaysia. Do you want to work in Singapore? You can get a job in Singapore with some specific requirements as well as in other countries. The country is actively seeking human capital (employees) for the healthcare, education, aerospace, transport, insurance, service, biomedical, finance, and construction industry. If you are on vacation in this country, then you will see a lot of people from different nationalities working in Singapore. 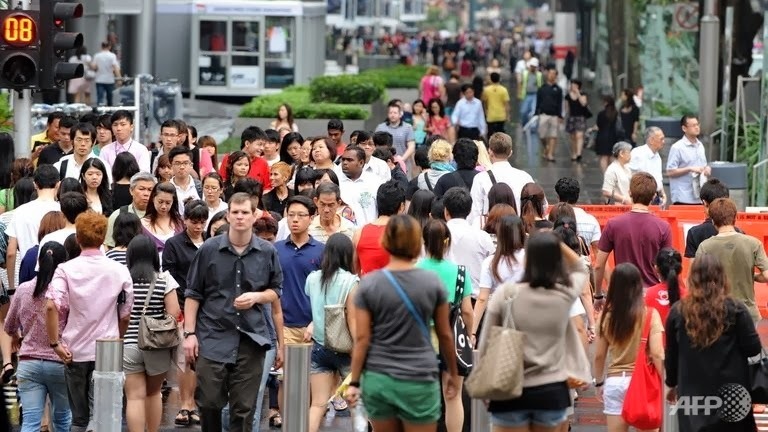 There are more than 900,000 foreigners, who fill everything from construction jobs to white collar and service work, accounting for a third of the 2.73 million people employed, enabling the economy to grow beyond the limits of Singapore's indigenous human resources. How to find a job in Singapore? Before you apply for a job and before your interview, research on the company to know more about their products or services, the business challenges they face, their future plans, corporate culture, salary, benefits, and so on. How much can you earn in Singapore? If you are a degree holder of any course, you are entitled to earn a monthly income of US$ 1,800 minimum. Salary has no limit and you can earn up to several thousand depending on your expertise and position. Salary also can vary depending on the company that will hire you and the degree that you have. The IT personnel have the advantage of having the highest salary in all the fields. How to apply jobs in Singapore? Here in Singapore, 95% of jobs are posted online. All you need is a resume with attached photo. Although application is done online, you need to be here (Singapore) before you start emailing them or it will be wasted. They will only entertain applicants who are in Singapore. Unlike other countries, you are not binding by a contract once you are working. You will receive same privileges and benefits as the local personnel. Probationary period is ranging from 3 months up to 6 months before you become a regular employee. There are different work passes that you can have depending on the salary. The S Pass is given for workers with salary of US$ 1800 up to US$ 2499 while E Pass is given for workers with salary of US$ 2500 or more. Please go to a government branch called ‘Ministry of Manpower’ who sees to it that you are well compensated. Otherwise, they will not allow you to be employed. If you seriously want to work in Singapore you can see the information on online job portals such as JobsCentral.com. This job portal has become major sources of such information. Besides scrutinizing their job postings, make full use of the services and resources available within these portals. The Singapore government also has a portal (https://app.vog.gov.sg) that serves as a database for public sector job listings. You can register for an account, create an online résumé, and use it to apply for suitable jobs whenever you come across them. The job alert services provided are useful for notifying you of the latest vacancies. Any foreign citizen has the opportunity to work in Singapore. 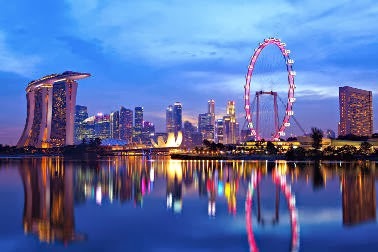 However, if you are a citizen of one of the ASEAN countries such as Indonesia, the Philippines, Malaysia, Vietnam, Laos or Myanmar, then you can try another way to apply for a job in Singapore; you come to this country as like a tourist. Why? Since Singapore is an ASEAN member country, you don’t need a visa. Passport and an airplane ticket are that two things that you must have. What happens next? First is by using a tourist pass. Once you are in Singapore, the immigration personnel will grant you 14 to 30 days pass to stay. In most cases, they will grant you 30 days. After that, you can ask for an extension for another 30 days for a total of almost 2 months. You can use that to look and apply for a job. This method is mostly done by foreigners from ASEAN countries due to its proximity to Singapore, so they can survive while waiting for the job they are applying. Suggestions, you have a lot to send job applications via e-mail by attaching a resume, photos and other attachments needed. Come to the Ministry of Manpower in this city to get complete information about the condition of working in countries with very strict regulations and laws. Additional information: After working for 6 months, you can apply for a Permanent Residence pass. Once approved, you can now bring your immediate family to stay in Singapore. Having this pass also entitles you to buy and own an apartment at a very affordable price. If you feel very at home in this city-state, then you can think to apply to become a citizen. Singapore Citizenship can be attained if you stay for straight 2 years as Permanent Resident. Other important information that you should know is to visit the MOM website http://www.mom.gov.sg/ This official website belongs to Ministry of Manpower, Singapore. You might imagine that working in Singapore sounds like a grand adventure, full of exciting new things to see and do. If you have a dream and fulfill the terms and conditions that apply, especially if you are young and have a strong dream, then work in Singapore is a great way to change your destiny towards a bright future.